Cakes With Faces > Japan > Hatsune Miku – 14 Things You Might Not Know! Our new video is all about Hatsune Miku from Vocaloid – she’s such a cute character, but here are 14 funny, cute and unusual things you might not have heard of! 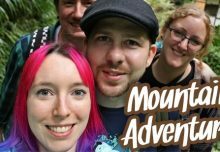 We’ve just got back from Tokyo, where we filmed lots of videos to show you what it’s like! Our Japan vlogs will be coming very soon, as well as helpful videos about going on holiday to Japan and all our favourite things to do in Tokyo. Subscribe to our YouTube channel so you don’t miss them! 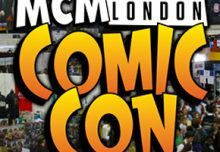 We’ll also be filming at Hyper Japan next month – it looks like it’s going to be a fantastic show, we can’t wait! If you’re also a fan of Japan, check out our designs in the online shop. Cute t-shirts, cushions, watches and accessories inspired by Japanese kawaii. 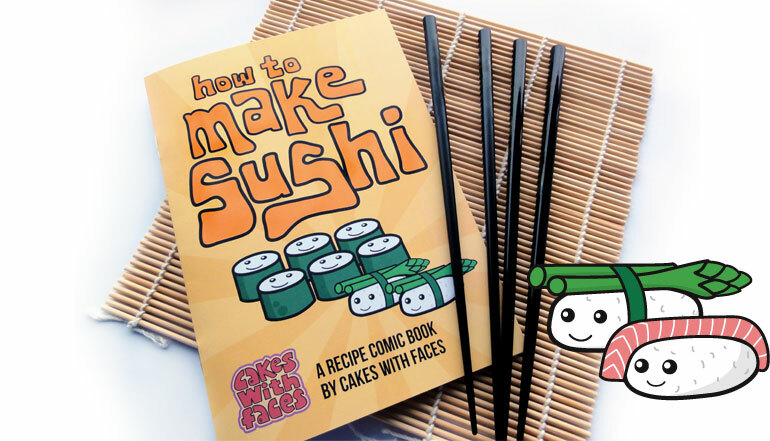 Have you seen our comic book about how to make sushi?